Thread: hope 180 rotor with avid mech? 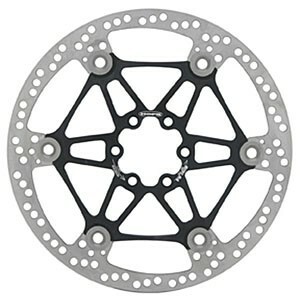 I am switching up from from a standard avid 160 rotor to a hope 180 rotor (see pic). 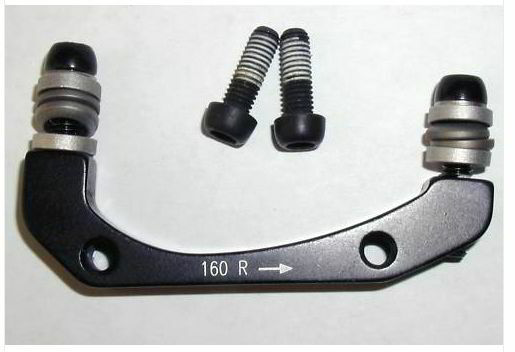 I found on mtbr that I can use a rear avid 160 adaptor (see pic). The fork is a fox vanilla 130r with the older IS mounts. Hub is a king ISO disc with 9mm QR. Well I mounted it up and the pads aligned nicely, but the rotor hits the adaptor. specifically, the aluminum 'floating' part. not usable at all as is. I can barely spin the wheel. is there some other adaptor that should clear? Anything else I can do? I do not want to modify the adaptor. There are lots of threads about the compatibility of Hope floating rotors. Count yourself lucky that you don't have to modify the fork like so many have had to do (myself included). Funily enough it's a non-issue when running Hope hubs. Other than using 1 or 2 spacers between on the skewer between the fork and hub [which would be a right faff]. I would file down the adaptor so the rotor clears, or don't use the Hope rotor at all. Ok thanks. So I am not the only one. ^Me too, I had to dremel down the side of my lower post mount a millimeter or so. Works perfect now, but not my preference to grind such an expensive component. Dremel your adaptor, you should be fine. But...the oddest thing about using a 180mm Hope rotor with a Avid mech is the vertical spacing. Avid brakes and rotors are speced to185mm which means that the pads will sit wider than the rotor by 2.5mm. You may not notice right away, but uneven pad wear will occur, which causes lots of rubbing/singing. I got away with it before by removing one of the odd washers from the mounting bolts on the caliper to lower the caliper by 2.5mm. you can use a 180 rotor by using a rear 160 adaptor. lines up perfectly. I will dremel the adaptor when i have time, which means I will never do it. It was so cheap so I guess nothing to lose. I cannot see it actually failing. Cool, nice trick, what do you do on the rear brake then? I bought an extra rear 160 adaptor. they are cheap enough, less than ten bucks.